Math is a challenging subject and it can take you to your intellectual edge. If you are understanding it – it can exhilarate you, but if you’re not – it can depress you. Everyone has to take math for the IBDP. It is compulsory. Sometimes the future university requirements influence your decision which math level to take for the 2 years of IBDP. Sometimes it is your parents’, sometimes your own ambition. It is important to find the proper placement, the right level of your math. On the one hand, it is good to be ambitious and set yourself high goals. If you do not even attempt it – you cannot succeed in it. It is not hard to drop a level down if you notice that it is very hard to keep up with the course work, but it is nearly impossible to go a level up. It is advisable to take 4 HL subjects if you are choosing math HL, so that you have an option to drop down, if really needed, and still have 3HLs. On the other, if math has never been your favorite and you do not need a certain level for your future university major, then just go for the easiest option. There will be other challenges in the IB curriculum you can sweat over. Good luck choosing the right level. It is better if you choose correctly now, than to have to change at half term. 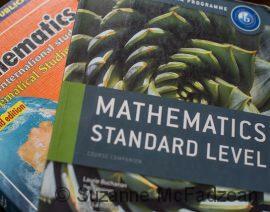 Our Pre-IB Math Courses shed light on the content of different math courses and on the skills you are supposed to have. So join us!